Have you ever seen a thawed-out caveman brought back to life? How about two cavemen? On September 19, 2002, William Ligue Jr. and his 15-year-old son jumped onto the playing field in Cellular Field (home of the White Sox) and attacked Kansas City Royals first-base-coach Tom Gamboa. Shirtless, out-of-control and under-the-influence, this pair of super fanatics was acting up without a reasonable cause. The scene was ridiculous and scary; especially for U.S. audiences not accustomed to seeing physical violence perpetrated against their sports heroes. Nothing new to soccer fans across the globe. The Ligues might have disgraced the holy grounds of baseball’s diamond dirt a long time ago, but their specter still lingers in Ben Stone’s psyche. Luckily for us, because the artist is about to unveil a major work based on the events. Using the attackers as metaphor for all dysfunctional American families, Stone, a resident of Berwyn, has built three life-size realist sculptures, or contemporary versions of Roman statues, that capture the exact moment Gamboa hit the ground, his cap flying, while the father-and-son tag team frantically surround him, in poses reminiscent of prehistoric men. 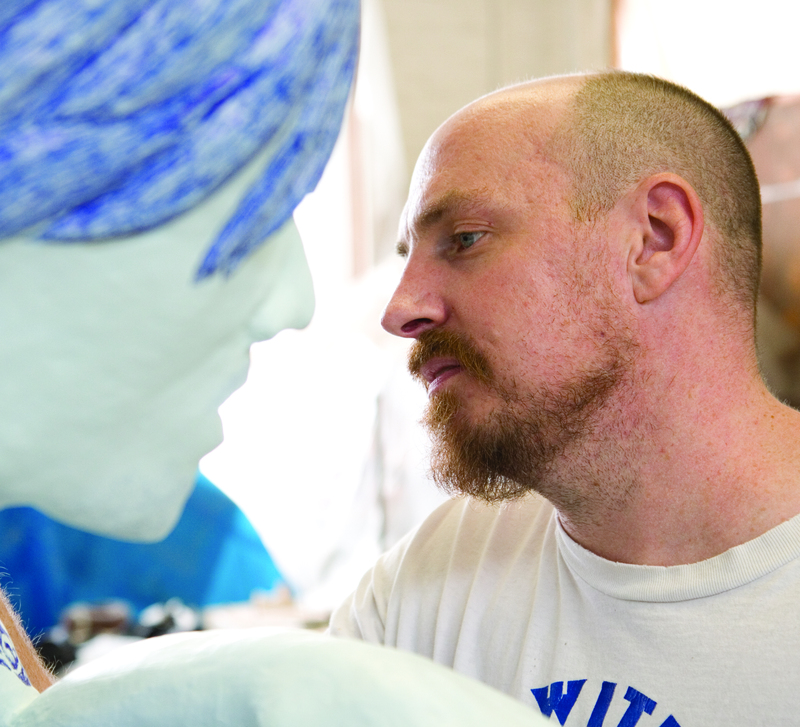 Sure to raise some eyebrows, the sculptures will be on view starting this Friday at Western Exhibitions. Stone, who is never short on words yet claims his social skills are somewhat not up to par with those of the so-called art-world socialites, catalogues the crazy attack as “a ghost in the machine” or “a disruption in the system.” There is always a possibility The Ligues were possessed by “darker cultural histories of segregation of the first Daley administration, the Stockyards and Steve Dahl’s infamous disco demolition.” Looking at pixilated printouts of the father in handcuffs, he goes on to explain that his interest is more of an obsession with any kind of “unimportant history that somehow gets transformed by the media and the collective consciousness.” Funny thing is that, while we were talking about drunks, Stone stood stoically under a huge Old Style beer-advertisement lightbox hanging gloriously from the ceiling of his studio. Truth is violence is intrinsic to competitive sports and, in the United States, culture is in bed with all things violent. All you have to do is pay a visit to a Little League baseball game and you will hear a broad variety of atrocities screamed at coaches and kid players. Parents hassle coaches, coaches point fingers at kids, kids scream at parents and parents, in return, shake their kids when they do not perform as expected. It is a never-ending cycle. Or take American football, for example, where commentators make use of lingo proper for combat to describe plays: “blitz” (after blitzkrieg), “attack the defensive line,” “the quarterback fired a laser.” The most atrocious might be “sudden death,” which is used to describe a tiebreaker. Thankfully, the expression is metaphorical—no actual death is involved. Now, imagine how a 5-year-old filters “war” talk watching opposing teams compete on Thanksgiving Day, while the whole family gathers around the television. Cheating is violent too; it involves psychological aggression and deceit to impose one’s own interest at the expense of others. Regardless, the Steroid Era made it acceptable for baseball players to juice as long as their bodies could hold it in. Deformed torsos and gigantic heads also became fashionable in the field during the nineties. Then why is it that, to this day, we still are surprised the junior Ligue followed his dad onto the field? 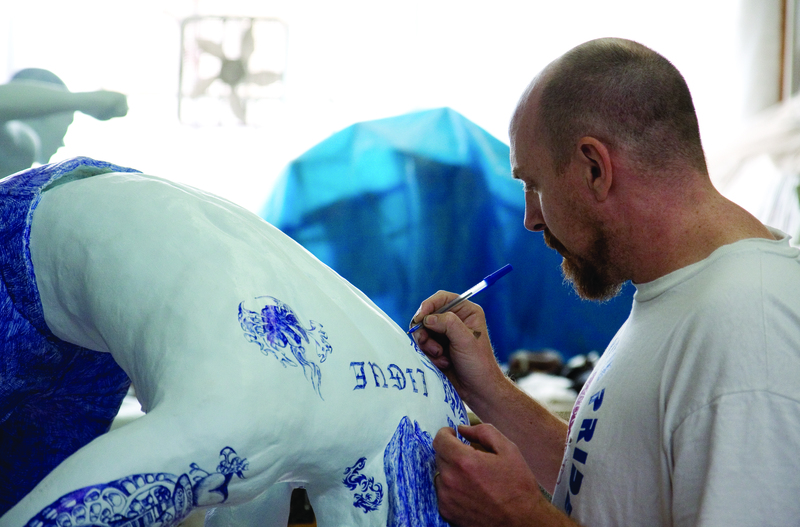 Unlike many of his younger contemporaries, Stone has commanding use of craft, palpable in the intricate reproductions he has made of the attacker’s tattoos, jeans and jewelry throughout the rough white bodies of the sculptures. These drawings, made surprisingly in generic ballpoint pen, are a medium he enjoys because of “its immediacy, it’s cheap, and the washed-out blue color of the pen brings a connection to people… to ‘what I did when I was a kid’.” When Stone makes art he also gets physical, tackling the material firsthand by carving, building up, shaping or injecting resins into massive blocks of polystyrene. Nevertheless, not everything in the exhibition is about contained emotion; other works deal with symbols of criminal behavior, wit, kitsch, comedy and innocent characters from nineties anime. One is a large conic black sculpture strictly based in the semi-abstract humanoid found in the neighborhood watch signage. In another, a colorful and glossy wall relief of characters from Pokémon plays tribute to video-game advertisements found in stores like GameStop. The rest is a vivacious mix of cool additions, custom made to fit already existing objects: a mini bust of a crying Abraham Lincoln, painted in bright orange, wears a handmade Chicago Bears pom-pon-topped knit cap. To round things out is a pathetic-looking five-foot-tall elephant, its body made out of twisted rope and leather ears. Having been a fan of Ben Stone for so many years I get the feeling he is out to prove once and for all, to the powers that be, that he is one of the most important artists this city has, and probably the United States. Case in point is that with five solo shows under his belt—in a period of eleven years—he has produced more than a handful of iconic works. 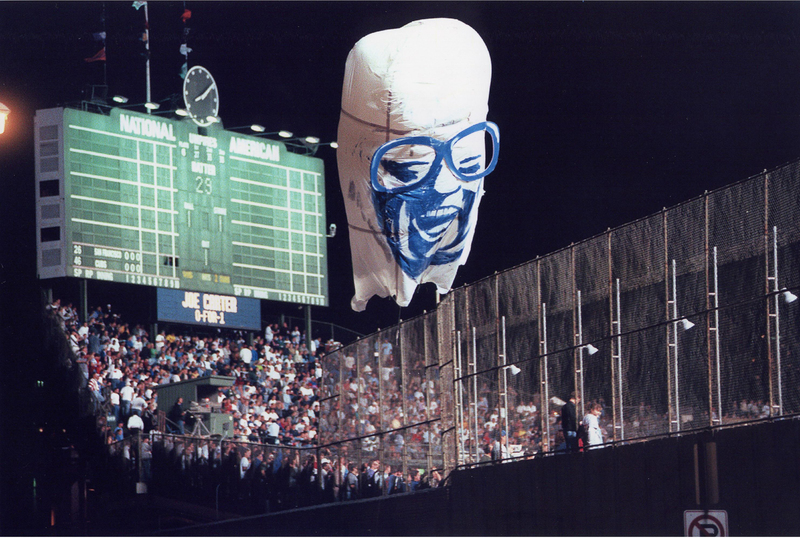 Among them is “The Ghost of Harry Caray,” an inflatable memorial to the legendary Chicago baseball announcer paraded over Wrigley Field during the Cubs playoff game against the San Francisco Giants in 1998, a piece that got a ton of attention from national media outlets. 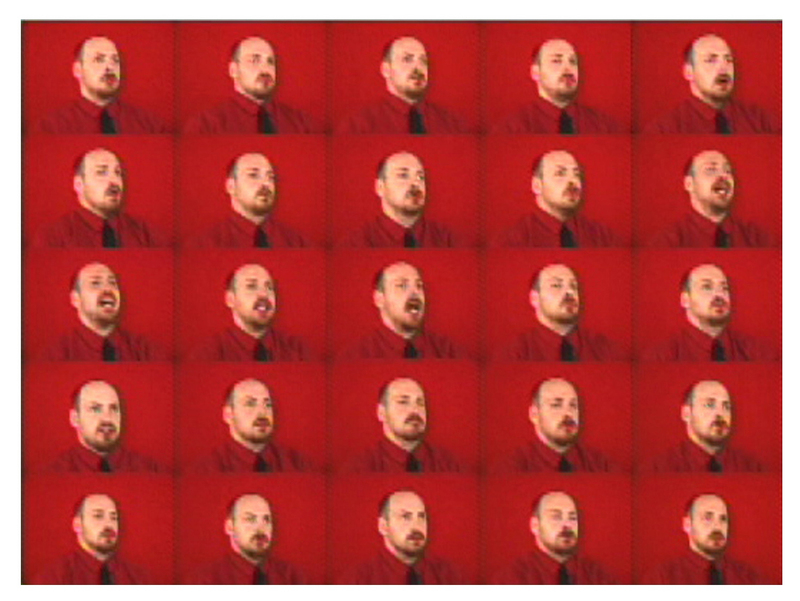 On the conceptual side of things is “Weathercasters” (1997), a selection of photographs of every single weathercaster on Chicago television autographed exclusively for the artist. 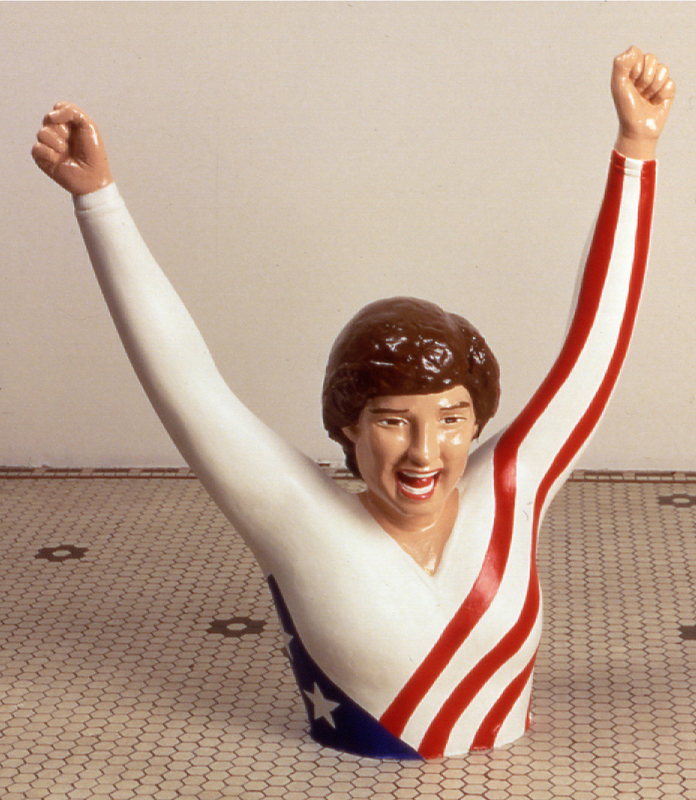 One of the most memorable is the floor sculpture “Mary Lou” (1999), an upper-torso-only portrait of gymnast Mary Lou Retton with her arms upheld triumphantly and her noisy smile forever frozen in time. Others are the hilarious “Nuptron 4000” (2004), which is the outspoken robot who married the artist, and “Octopus” (2002), the large pink mollusc in detention who plays a bagpipe. When asked about his landmark exhibition at Ten in One Gallery in Wicker Park (1999), and how apparently he didn’t get all the attention expected from such a hit, the artist comments without guilt, “That show killed me mentally, the prospect of being successful frightened me, as it does to a lot of people.” Being the good guy he is, Stone might have wanted to conceal the real reason: We (Chicago) have taken him for granted. His familiarity has seemingly become impediment and, like the dysfunctional family we are, we have wrongfully believed his work is safe in the collections of the Museum of Contemporary Art and the Art Institute, or that he has represented Chicago in various international Biennials. Well, that is not the case. Now that we know, maybe it is time we put him batting fourth in the lineup. Let’s win this game. For a complete listing of Art World’s Big Weekend openings, click here.